I love Winchester, it’s a great place to live. 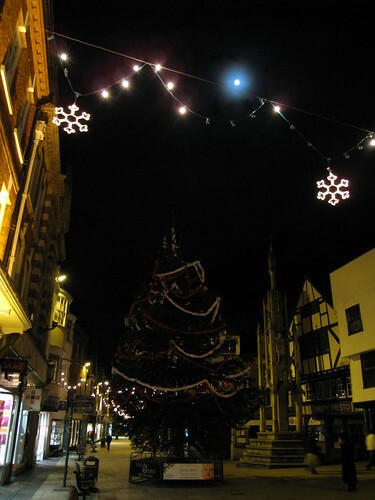 The Christmas lights are normally really nice – not too tacky, just elegant and tasteful. This year the same lights are in place and should look as good as always but for some reason it seems no-one thought to check the bulbs beforehand. There are hundreds missing and it really makes Winchester look a bit down at heel. Not that I’m a snob or anything.